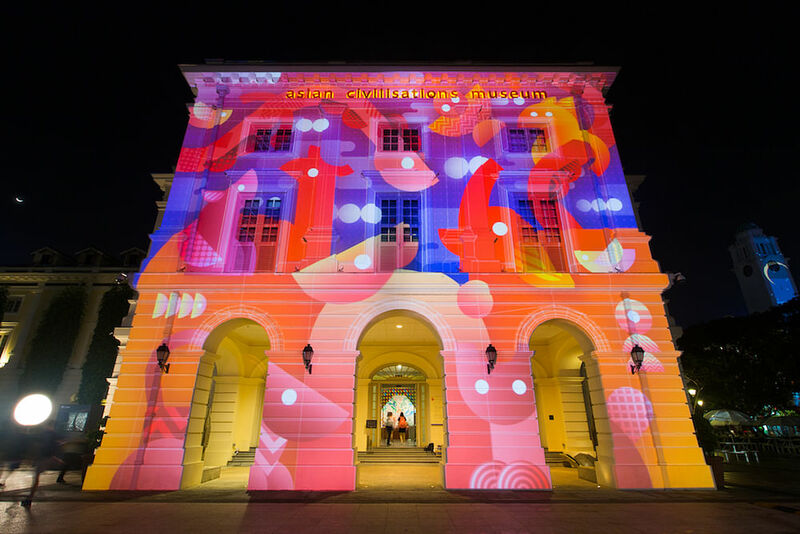 Inspired by vestiges of the past in the vicinity of Asian Civilisations Museum, this year’s Light to Night festival revisits the culturally rich history of the Civic District. From 7pm to 12am, immerse yourself in a world of wonder and serendipity with engaging interactive sculptures and artworks. Some of the features include a giant time capsule created by OH! Other Half, old shipwrecks and nostalgic games organised by Mash Up Collective and Sebastian Chun, as well as a tunnel of dreams curated by the students from the Nanyang Academy of Fine Arts. What fun! Admission is free for all programmes. Visit ACM’s website for more information. Probably the most recognisable nightclub on our island, Zouk Singapore has lined up a series of events and guest acts to celebrate the shortest month of the year. 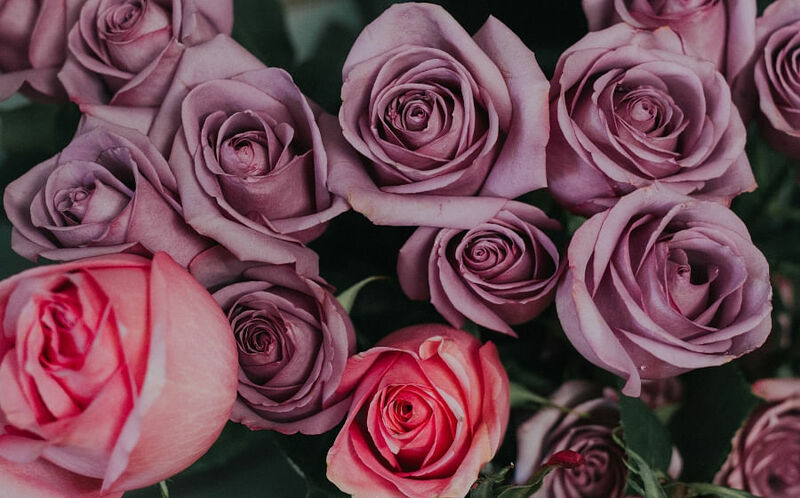 Start with Sven Vath, a veteran who is regarded a revolution in the techno genre in Germany on Feb 2, followed by Craig David’s The Collective Mind on Valentine’s and South Korean rapper-singer Okasian on Feb 15. The former is a British singer-songwriter that has racked over 450 million streams while the latter is signed to a sub-label of YG Entertainment, the company that spawned artists like BIGBANG, 2NE1 and BLACKPINK. 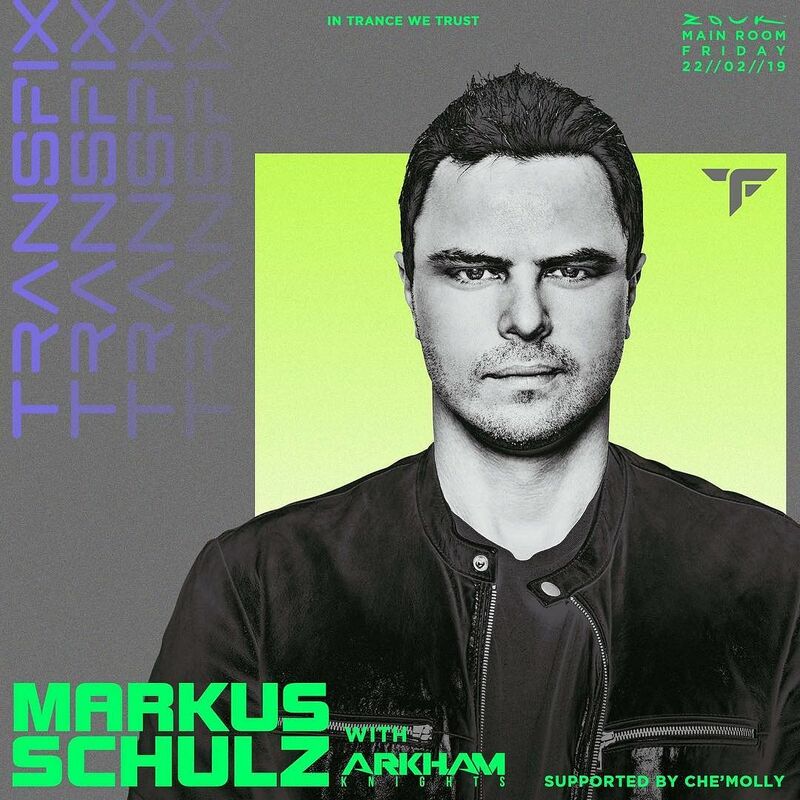 Feb 22 sees two events: The first is Zouk’s popular event POPTART at Phuture with duo weelikeme & KidG, who promise a zany medley of indie rock, punk, indietronic and pop, while the second sees American-German DJ Markus Schulz spinning the signature music that he has honed over three decades. Finally, end the month with Tom and Arthur Bray and YoungQueenz where you can expect creative blends and energetic curations. For general and ticketing information, head over to Zouk’s website. 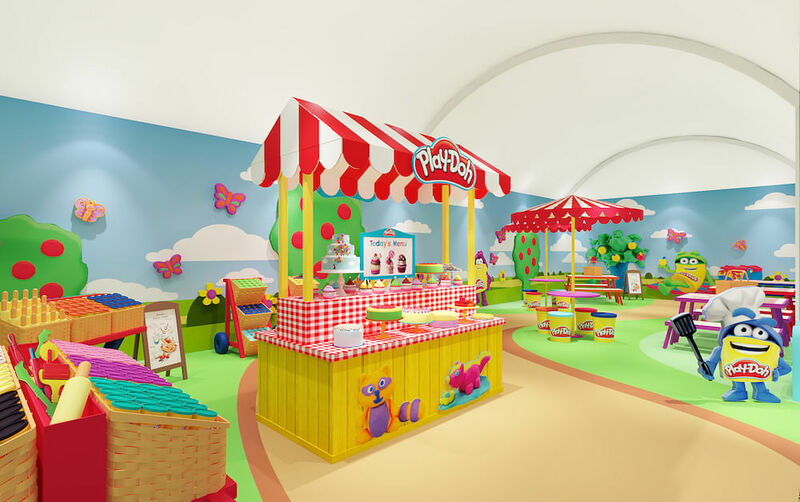 Bring your little ones to Sentosa’s Palawan Green this February for some fun and excitement at Toybox, an inaugural event which will feature seven popular Hasbro brands such as Transformers, My Little Pony and Monopoly, to name a few. Apart from the food, beverages and merchandise stalls that will be available at the live carnival, participants can look forward to their entertaining and enjoyable activity zones. Some of the highlights include Super Claw, which is an oversized twist on the human claw machine arcade game, and Cluedo Tudor Mansion — an escape room modelled after the popular board game. Admission is free. Coupons for games, activities, food and beverages will be available for purchase on-site. Visit their website or Facebook page for more information. Co-curated with the British Museum to mark Singapore’s bicentennial anniversary, this exhibition showcases and illustrates the multi-layered perspective of Singapore’s founding father, Sir Stamford Raffles, as well as his complex legacy and journey during the days where he was stationed in South-east Asia (between 1805 to 1824). 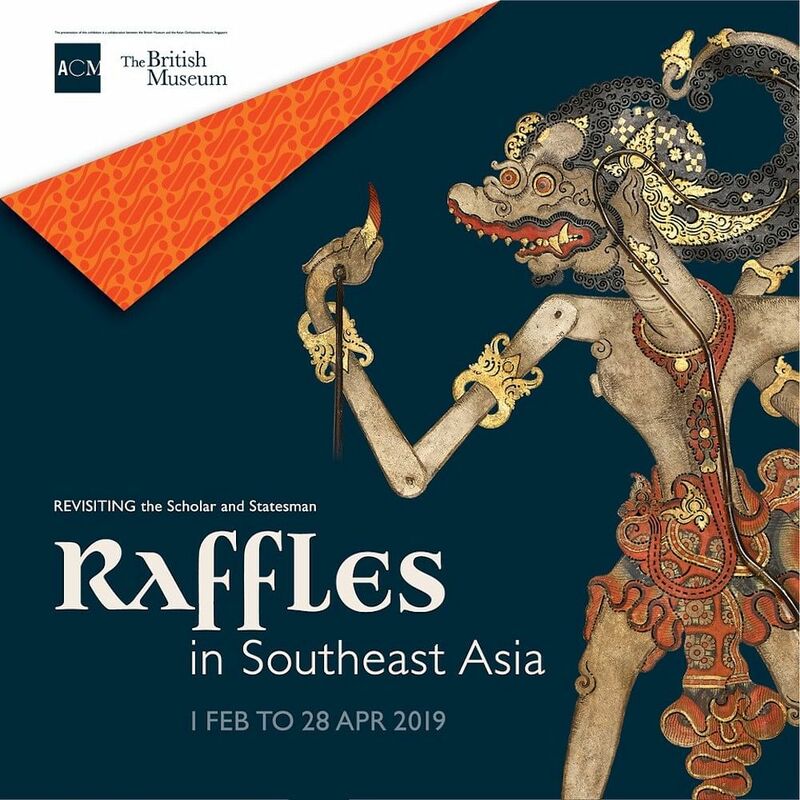 Furthermore, aspiring historians will be intrigued as the gallery will also present the artistic and cultural heritage of the Java and the Malay world. Tickets cost $12 for Singaporeans and Permanent Residents and $20 for tourists. Visit their website for more information. 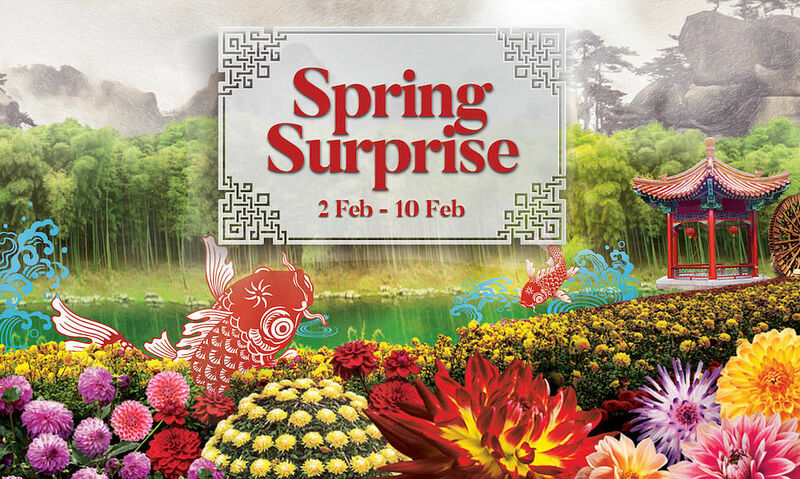 Usher in the Year of the Pig this month with Spring Surprise, a festive carnival that will be held at Gardens by the Bay. This nine-day long event includes various activities such as an LED performance of an auspicious Chinese myth titled Carps Leaping Over the Dragon’s Gate, lion dance acts by an award-winning local lion dance troupe and Spring Street — a festive bazaar that retails Chinese New Year related souvenirs, crafts and artisan handmade accessories. Programmes are free for everyone, however admission charge to the Flower Dome still applies for activities happening in there. For more details of this event, visit their website here. Chinese New Year is not complete without a visit to The Float @ Marina Bay, where the annual River Hongbao is held. 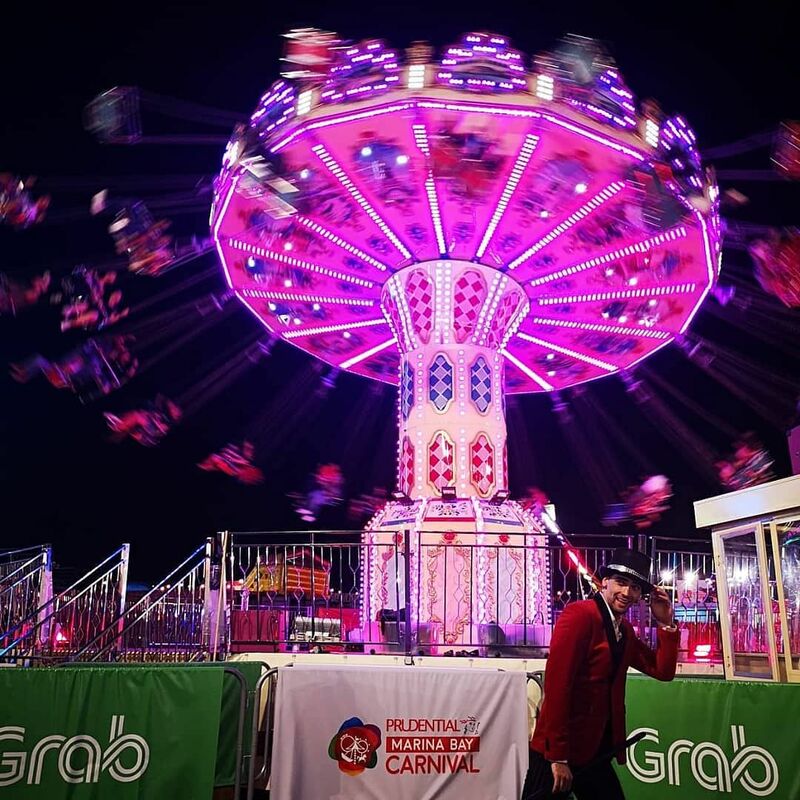 Expect fun amusement attractions — such as dodgem cars, Ferris wheel and teacup rides — as well as engaging interactive and food stalls that will be available at the carnival itself. The highlight has got to be the spectacular display of fireworks and lasers which will illuminate the Marina Bay skyline every night at various times. The best show is definitely reserved for the eve of Chinese New Year (Feb 4) where fireworks will go off at 12am for 10 minutes. Admission is free. Visit their website for more details. 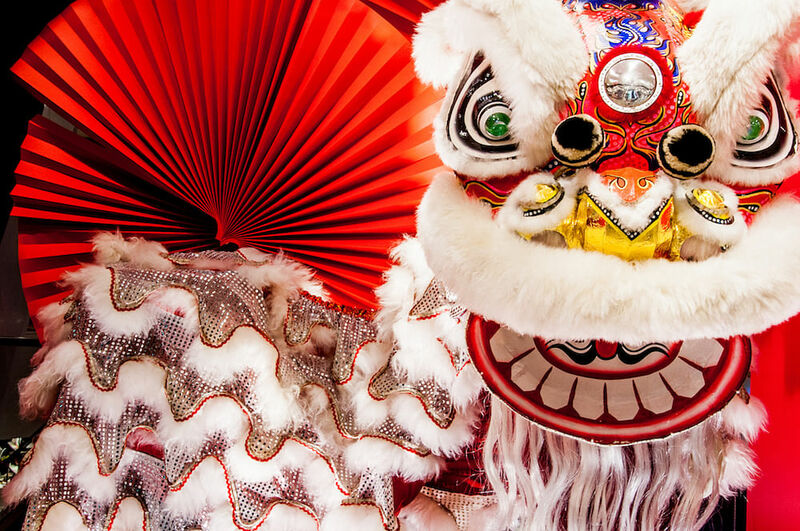 Soak up the auspicious feels of the Lunar New Year by catching this spectacular lion dance and drums performance at ION Orchard’s Atrium (level 1). The spirited and joyous event will occur on six days in February at 3.08pm. Furthermore, God of Fortune will be roving around the Atrium on Feb 5 and 6 at 1.30pm to hand out tasty festive treats, so keep your eyes peeled if you want to get lucky and nab some delectable goodies. The event is free. Visit ION Orchard’s website for more information. The Prudential Marina Bay Carnival will run until Mar 24, but not before they celebrate the Lunar New Year with a bang. 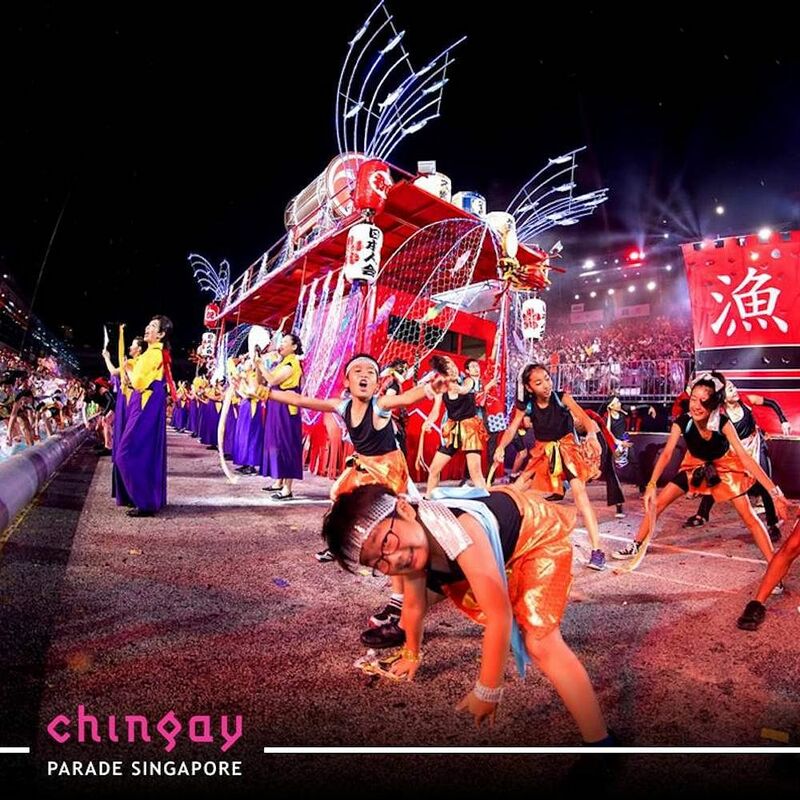 A series of special performances have been planned, such as an LED lion dance performance that is happening on Feb 5 and 6 (5 to 6pm) and Feb 19 (9 to 10 pm). A God of Fortune mascot will also be roaming about the carnival grounds on those timings and spreading well-wishes. If you’re having an exhilarating date there on Valentine’s Day, watch out for the cupid mascot, who will be roving around to spread the love. Entrance to the carnival is free of charge and it will be open as per normal during the festive period (4 to 11 p.m.). 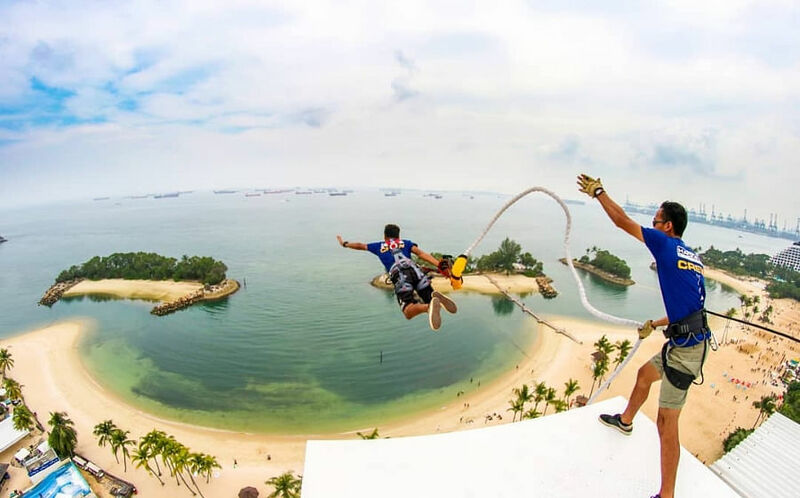 For more information, head over to Marina Bay Carnival website. 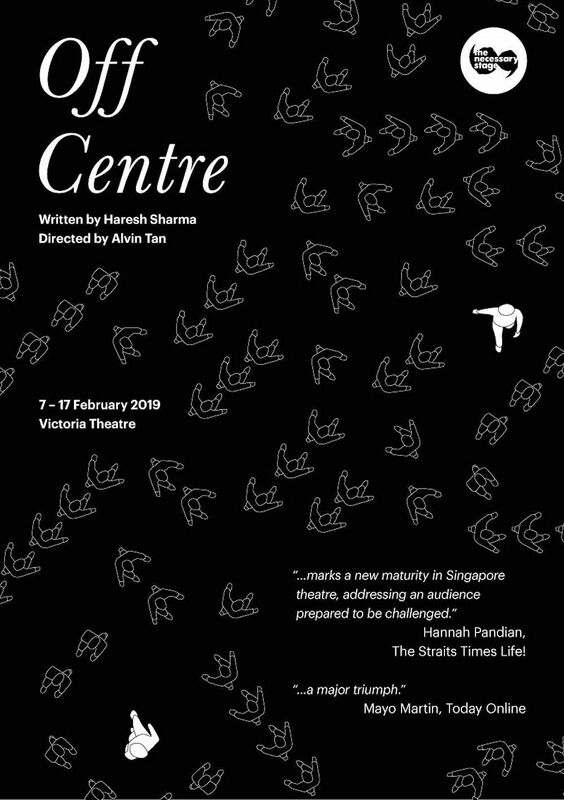 If you are tired of superficial entertainment and want to go for a thought-provoking performance for a change, head to Victoria Theatre this February, where The Necessary Stage’s critically acclaimed play, Off Centre, will make a return after 26 years since its premiere in 1993. Written by Haresh Sharma and directed by Alvin Tan, this play follows an unlikely friendship between Saloma and Vinod (played by Abdulattif Abdullah and Sakinah Dollah) and presents an honest perspective towards mental illness and the social stigma that surrounds it. Standard tickets cost either $36 or $45. Visit Sistic for more information. Groove to the mishmash of rugged techno, transcendent choral music and solo acoustic piano notes that will be spun by English electronic music wizard, Jon Hopkins. Happening live at the Capitol Theatre, be prepared to immerse yourself into his otherworldly soundscapes, such as Light Through the Veins (2009), Open Eye Signal (2013) and Emerald Rush (2018). Tickets cost $78. Head over to Apactix to get yours. The hottest K-pop girl group of the moment, BLACKPINK, will be coming to town a day after Valentine’s Day to perform a one-night only live concert at Singapore Sports Hub. Though the tickets to this highly anticipated show have sold out, fans who did manage to nab these coveted entry passes are in for a treat. Get ready to be charmed by these four sopranos, who are expected to perform some of their top charting songs, such as Whistle (2016), Boombayah (2016) and Ddu-Du Ddu-Du (2018). 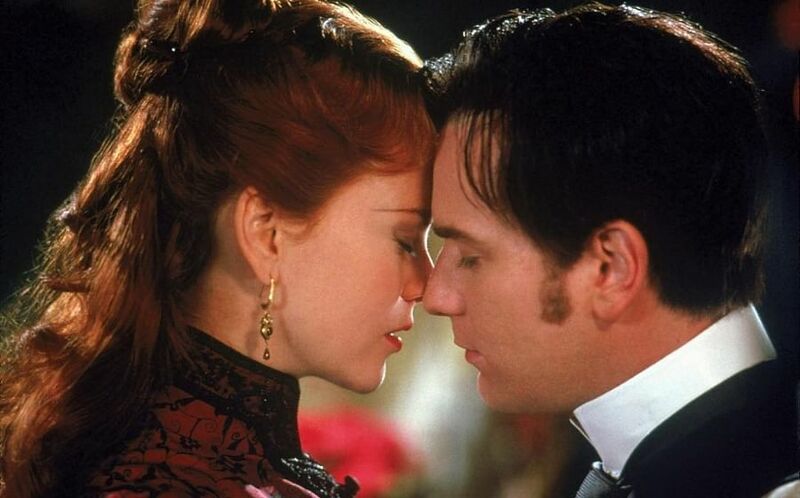 We’re keeping our fingers crossed for Kiss and Make Up (2018). For more information, visit Singapore Sports Hub’s website. The annual street parade filled with decorative miniature stages, dancing dragons and prancing lions is back this month for a bicentennial edition. Revolving around the theme ‘Dreams Funtasia’, Chingay 2019 aims to expand our understanding of Singapore’s history beyond 1819, beginning even earlier at 1299. 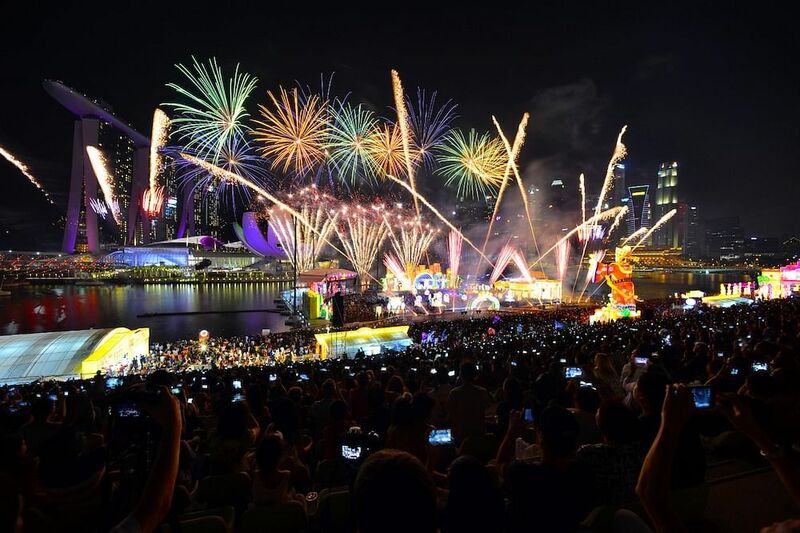 Some of the highlights for this year’s event include a first-of-its-kind painting depicting the past, present and future of Singapore that stretches 270m long, skilled and cultural performances by diverse groups, as well as a stunning display of lights, lasers, pyrotechnics and fireworks. Tickets for Category 3 start from $28.50 for both dates. Prices for Category 1 and 2 is at $50 and $40 respectively for the 15th, and $60 and $50 for the 16th. Visit their website for more details. Stay in shape and give back to charity at the same time with Run for Hope 2019. 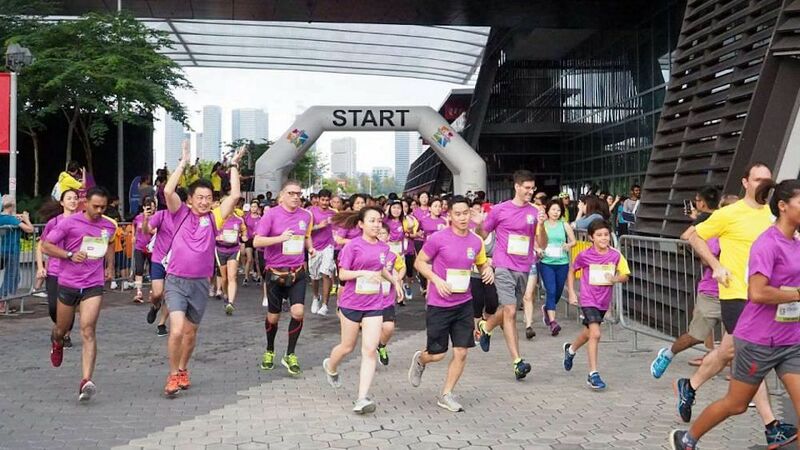 Returning for its 26th edition, this meaningful annual run organised by Four Seasons Hotel Singapore and the National Cancer Centre Singapore (NCCS) aims to raise awareness for cancer research, so show your support for cancer victims and dedicate your run to someone special. Featuring two routes, 3.5km and 10km, rates range from $33 (for youths below 20) to $123 (for one adult and two youths), where all runners will be entitled to a goodie bag and a t-shirt. Part of the funds raised from each registration will be donated to the NCCS Research Fund. Get your passes here. Catch the return of South Korea’s indie boy band, Hyukoh, which will be performing on the stage of Esplanade Theatre this February. We’re hoping that they’ll perform songs from their latest EP, 24: How To Find True Love and Happiness, like Graduation (2018) and Citizen Kane (2018), as well as some of their top charting singles such as Wi Ing Wi Ing (2014) and Comes and Goes (2015). Tickets range from $88 to $148. Grab yours from Apactix before they sell out. 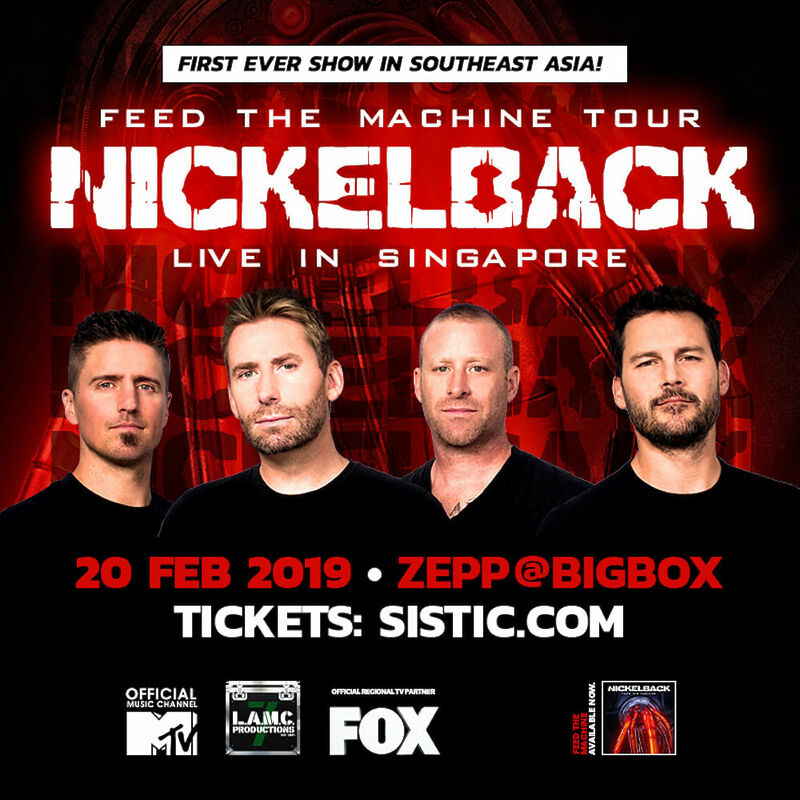 Known for their hits that include How You Remind Me and Photograph, Canadian rock band Nickelback is having their debut performance here on Feb 20 at Zepp@Big Box. Since releasing their 2017 album Feed the Machine, the band has been on tour and performed over 80 sold-out shows globally. This will be their only show in Southeast Asia, so best get your tickets asap if you’re a fan. Tickets cost $128 and is available via Sistic. Organised by The Breathe Movement and supported by organisations like National Council of Social Service, the inaugural Singapore Mental Health Film Festival (SMHFF) aims to address the stigma towards mental health problems here. Held over four days at The Projector, seven Asian and Western films will be shown that highlight issues such as dementia, schizophrenia and bipolar disorder. Panel sessions will also be conducted, which will be moderated by Anita Kapoor and Noorlinah Mohamed, to further discuss these subjects. Tickets cost $18 for one film or $51 for three. For more information, head to SMHFF website. 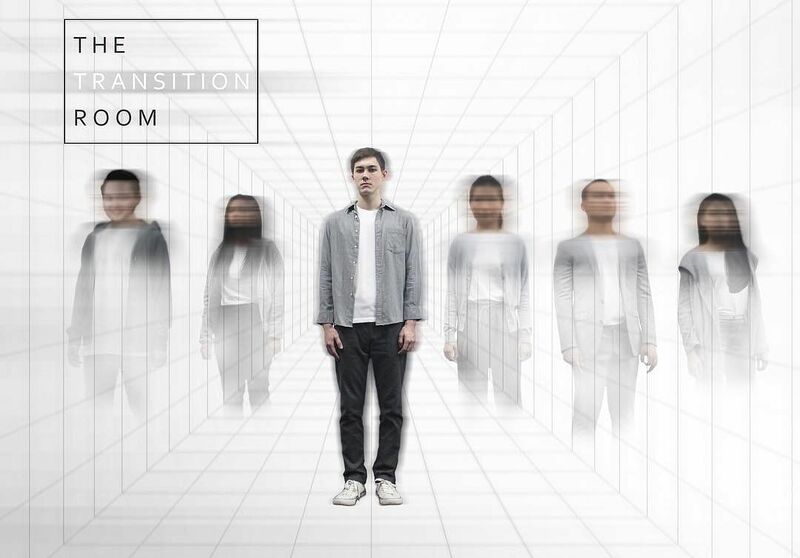 The Transition Room by local theatre company Toy Factory follows the protagonist Mike as he navigates through mysterious rooms, each occupied by strange figures. He doesn’t know where he is, or how to get out. The show uses absurdism to tackle existentialism and deals with fundamental questions like, “Who am I?” and “Why am I here?”. The show promises to push the conventions of theatre and bring your through a journey into the unknown. Held at the Drama Centre Black Box at the National Library, tickets costs $38 or $45 (excluding booking fees) and the production will last for 75 minutes with no intermission. Get your tickets here. 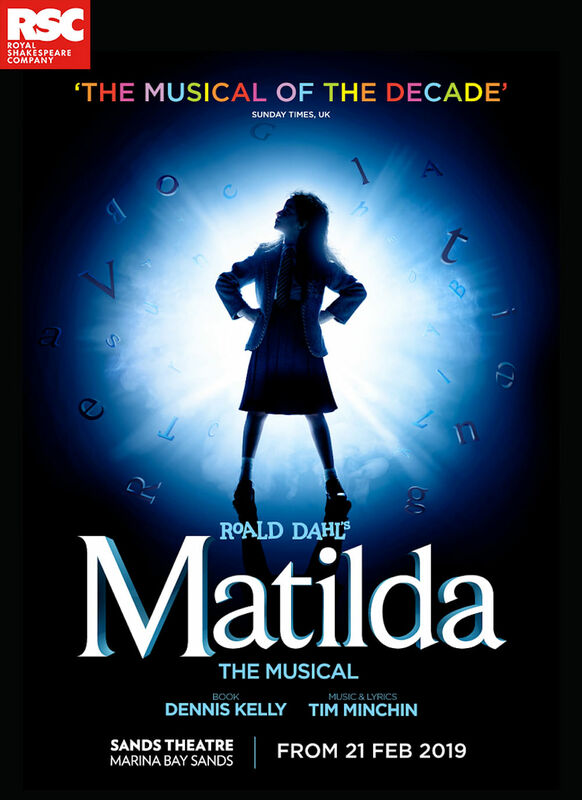 If you’re a fan of Roald Dahl’s novels, be sure to catch Matilda The Musical at the Sands Theatre. With its script written by award-winning author Dennis Kelly and featuring catchy original songs composed by lyricist Tim Minchin, this award-winning musical from Royal Shakespeare Company will bring you on an exciting journey of an extraordinary little girl (aka Matilda) who takes on life with her vivid imagination and sharp mind in order to go above her circumstances and change her own destiny. A charming and heartwarming production. Tickets for this concert start from $68 to $712 (for Tuesdays to Thursdays) and from $68 to $792 (for Fridays to Sundays). Grab them now from Sistic. 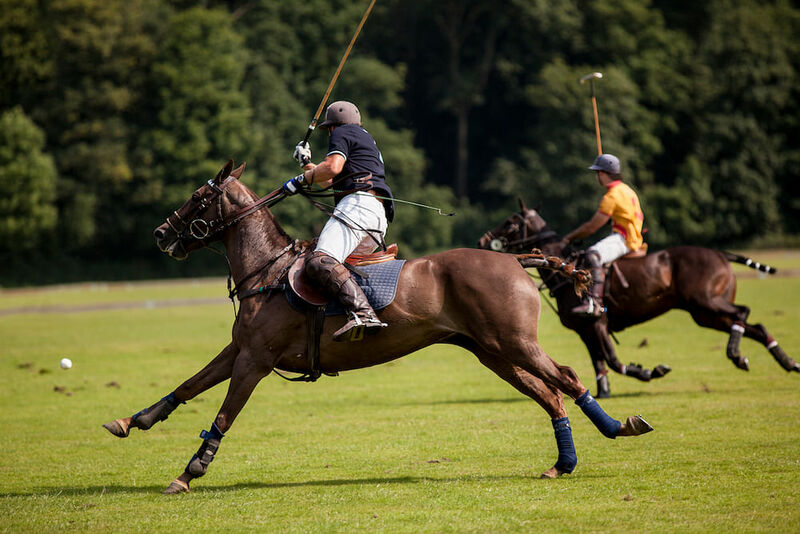 Aficionados of this English sport, you wouldn’t want to miss out on the Singapore Urban Polo — a fun-filled event where music and polo collide. Besides three adrenaline-filled games of polo, there’s also a hotly-anticipated DJ line-up, sumptuous food and beverage offerings, as well as opportunities to rub shoulders with their star polo players, such as Sam Hopkinson and Nick Pepper. Rated R18, tickets start from $99.88 to $155.74. Get yours on Eventbrite. Visit their website for more information. Mention Josh Groban and you’d almost immediately think of his emotional 2003 mega hit, You Raise Me Up. The multi-platinum award-winning singer will be performing live in Singapore for the first time ever, and you can be sure that his soaring, powerful vocals will send you into music heaven. 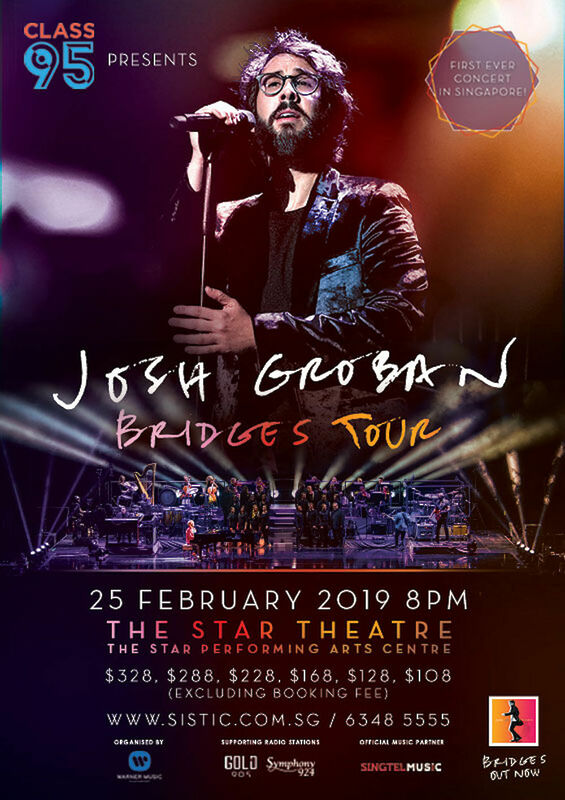 Presented by Class 95 and Warner Music Singapore, his concert tour will feature tracks from his latest studio album, Bridges (2018), although we’re hoping he’d also belt out some of his well-known melodies, such as Bridge over Troubled water, Run and S’il suffisait d’aimer. Prices start from $108 to $328. Get your tickets from Sistic. British electropop band Years & Years will be performing live in Singapore at the Star Theatre to promote their second album, Palo Santo. Fans of the trio can expect them to perform some of their popular tunes from their 2018 album, such as Sanctify, If You’re Over Me and All for You. Tickets start from $88 (for Category 7 seating) to $148 (for Category 1 seating). Visit Apactix to get yours now. Is your friend stopping you from living your best life?